In order to give an impetus to the existing operation of the Rickshaw Bank project, CRD has organized several in house workshops. These are meant to relay the past activities, reflect their learning and give ways for further development. In the workshop, discussion was held on technical as well as social aspects of the project. Finally, a model guideline is prepared for enabling the staff to boosts up the operator. In social aspects, emphasis has been given upon the homogenous group formation based on the original home place, existing dwelling locality in city /town, age-group and caste. However it is very difficult to maintain caste-based, income based homogently and affinity based groups in big city like Guwahati as therein people from different states, district come in search of live hood. In small towns like Nalbari, Mirza; these kind of homogeneity is observed and accordingly the rickshaw puller were encouraged to from groups. 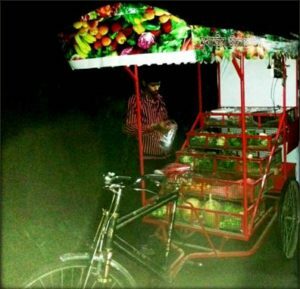 Besides, changes have been brought to the earlier concept of “garage” that comprises 5 group of 25 rickshaw puller All the puller under a garage form the general association of the rickshaw puller in a locality within the city. Town .This is direct interface between rickshaw puller and branch coordinator and /or above position at garage level. 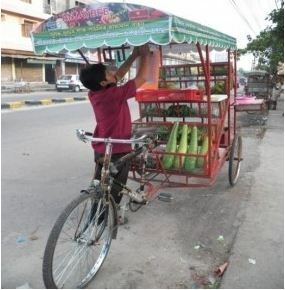 Steps have been taken for promotion of Rickshaw Puller Cooperative Socitey.The people at CRD and members of the project are positive that a few added features to the operational framework would ensure the implementation of the project with enabling approach of development rather than service delivery method.